And by other models we mean the Active Tourer & Gran Tourer minivans, plus a Gran Coupe. 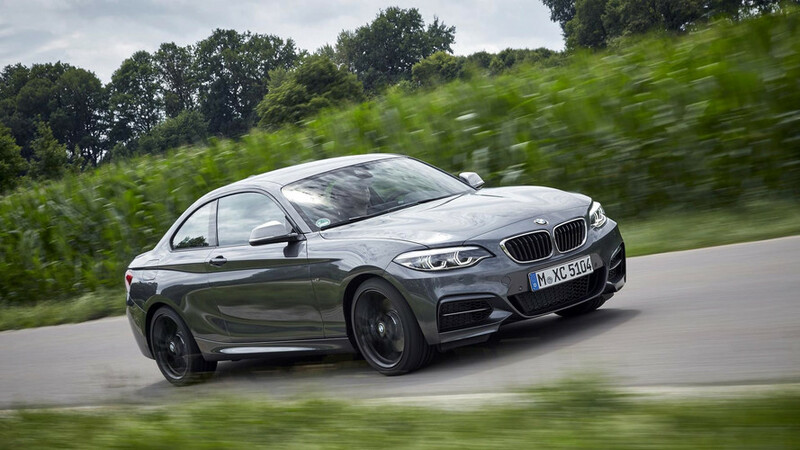 Even though the 2 Series lineup was recently refreshed with the introduction of the range-topping M2 Competition, sources from Germany are already eager to point towards the future of the model lineup. There’s both good and bad news to share, as while the coupe will retain its rear-wheel-drive layout, everything else will be FWD. The reason for that is because today’s tail-happy 2 Series Convertible will not live to see another generation. Why? Because BMW apparently believes there is no need to give it a new generation as those in the market for a droptop will be able to get the forthcoming Z4 roadster or the bigger 4 Series Convertible. The latter will make the transition to a new gen in the years to come and it will eschew today’s hardtop for a lighter fabric roof. As for the rest of the 2 Series family, the UKL-based Active Tourer and the larger seven-seat Gran Tourer minivans will be renewed. Despite the demise of the cabrio, the family will continue to encompass four models as BMW has plans to introduce a 2 Series Gran Coupe, also on the same FWD-based platform like the MPVs. There are even talks of a full-flat M version with 365 horsepower on tap to go after the likes of the Mercedes-AMG CLA 45 and the Audi RS3 Sedan. However, those rumors suggest it will be rear-wheel drive, which frankly seems kind of odd considering the lesser 2 Series GC models will be FWD. Getting back to the 2 Series Coupe, it will move to the CLAR platform and that means it will have many things in common with the next-gen 3 Series as well as many other larger BMW models. A new platform should enable a healthy weight loss, which in turn will improve performance and efficiency. Keeping the RWD layout alive means we can hope there will be a new M2 further down the line.